Impressive feats of technology bring spectacular results. 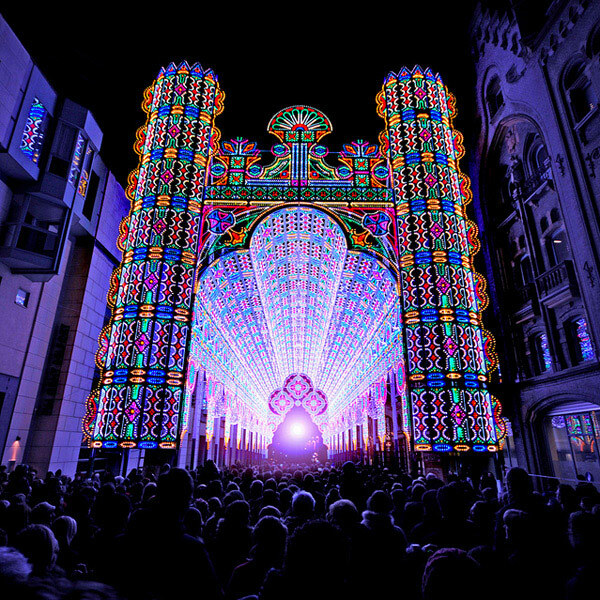 A revolutionary lighting festival in Belgium called Ghent Lichetfestival (Light Festival for us English speakers) 2012 brings to life some amazing works of art. 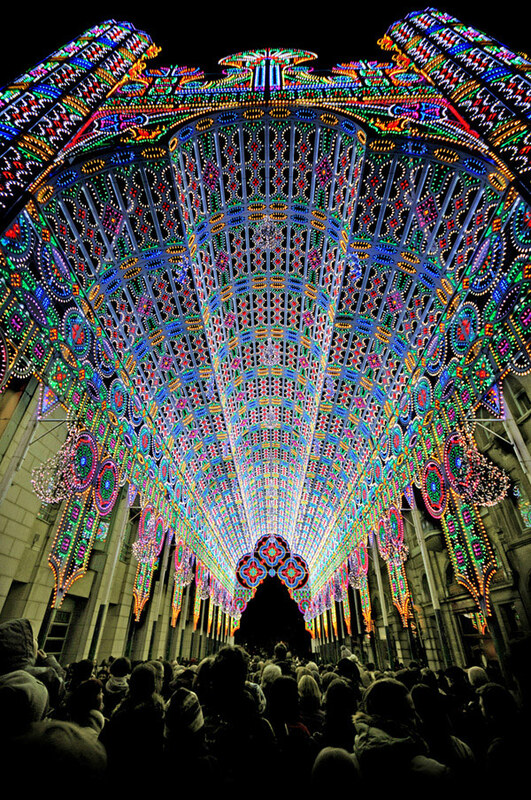 Below is a massive 55,000 LED Light cathedral that stole the show. 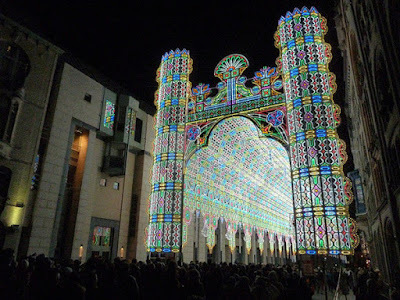 With over 30 unique exhibitions ranging from misting movie screens, to goldfish payphones, this Belgium festival is being put on the map as a premium light art exhibition across the globe. 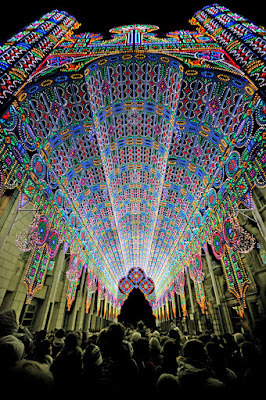 The giant Cathedral as seen in the pictures was made up of wood and of course hundreds of thousands of colored LED lights, and consumes only 20Kwatt / hour of electricity. Putting that into perspective, the amount of energy used is about 400 standard 60W light bulbs. 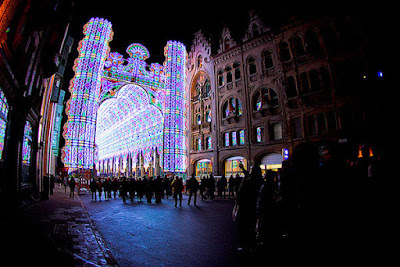 We think the pictures speak for themselves, but check out the video below for more information and content on this extraordinary event.